The comprehensive package of PMTCT interventions include, HIV testing services (HTS), ARV drugs and Cotrimoxazole prophylaxis for mother-infant pairs and use of lifelong antiretroviral therapy (ART) for women. However, investigations show that there are many pregnant women without access to quality HIV testing, results and counselling. It was also discovered that many HIV positive pregnant women and breastfeeding mothers still lack access to ARVs. 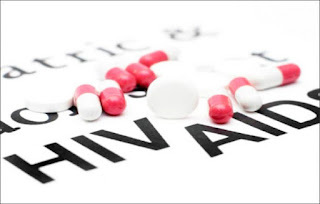 This was confirmed during a recent visit by INDEPENDENT to the Heart to Heart Centre (H2H) of the Badagry General Hospital, Lagos State by the Journalists’ Alliance for the Prevention of Mother-to-Child Transmission of HIV in Nigeria (JAPIN). According to INDEPENDENT findings, the trend may not be unconnected to why new HIV infections and deaths are on the rise among infants. Similarly, Adaku Eze told INDEPENDENT, “I was in my fourth pregnancy, when I came to Heart to Heart Centre in 2011. It supposed to be my fourth child, a baby boy, but I lost him because I refused to take my ARV drugs. I also lost the next pregnancy which was twins. My thought then was whether I use the ARV drugs or not, I will die and this made me stay away from home for three days. I was affected psychologically. Speaking on how to avoid new HIV infection among infants, Mrs. Kadiri Oluseyi, Executive Director, Centre for Positive Health Organisation, Lagos State said, HIV positive women who are pregnant should be counselled to understand the risk involved in evading testing, counselling and their drugs. They should be told that their lives and that of their babies are at risk. She said we partner with the Badagry General Hospital to prevent, provide treatment, care and support at the community level for HIV, TB as well as promote maternal health. Oluseyi said: “Our focus is that information reaches every individual about HIV counseling, testing, and treatment. We also provide access, care and support, especially to those that have tested positive. Mrs. Bukola Salami, Psychosocial Counsellor for Abidjan- Lagos Corridor, (ACO) support group said her duties as a psychosocial are; “we follow -up PLWH, counsel them to accept their result and register for Anti-retroviral drugs. We do not force the PLWH to register for drugs; rather we educate them on the negative impact of not registering and adhering to the prescription. Only an estimated 53,677 (30.16 per cent) of 177,993 HIV-infected pregnant women received antiretroviral drugs to reduce the risk of mother- to -child transmission (MTCT) of the disease in 2015. National Coordinator, National AIDS/STI Control Programme, Federal Ministry of Health, Dr Sunday Aboje corroborated that Nigeria was still home to the highest number of children living with HIV/AIDS in the world. He identified inadequate political commitment and funding at federal, state and LGA levels, weak health infrastructure as well as inadequate engagement of the private health sector as some challenges against eliminating new HIV cases in children.